Our Kaieteur Classic Debit Card gives you secure and convenient 24-hour banking at your fingertips. 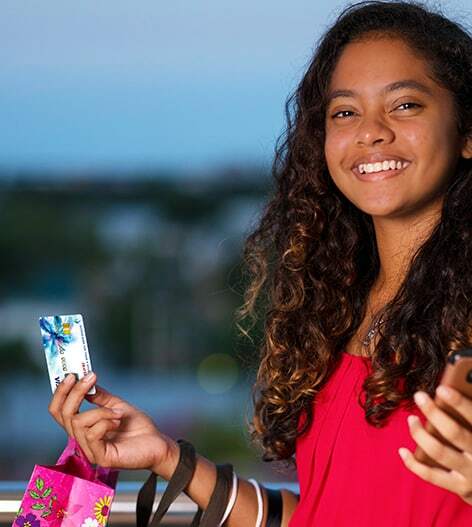 The card is free and can be used to access all our ATM Money Zones and 235 Point-of-Sale terminals at Prominent Shopping Centers, Supermarkets, Restaurants and Gas Stations. Look for our GBTI Kaieteur Classic Sign! 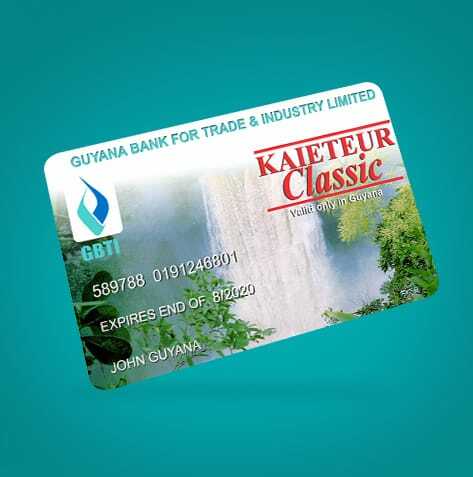 The Kaieteur Classic Debit Card may be used to make purchases nationwide at any merchant displaying the Kaieteur Classic logo (maximum payment is total available balance on your account).